June 3rd, 2012, 5am: The ring of my cell phone had an immediate reaction on me. In an instant I was standing in the middle of the room; phone pressed to my ear, heart pounding. I was struggling to understand what Barry was telling me. Sinead and I needed to get to the hospital right away. Today was the day. Bronwyn was getting her VAD. This was good news but it also meant her health was failing to the point that doctors were willing to call a large team of specialists in on a Sunday morning for the four hour, open heart surgery. “Sinead! Sinead! Get up! We have to go to the hospital! It’s VAD Day! Bronwyn’s getting her VAD!” I was yelling. I couldn’t contain it. Along with Sinead I woke up the two sisters who were helping us out. Both had come, left their families and jobs, at the drop of a hat. Alexandra came from B.C., across the country and Erinn came from Thunder Bay. The other two sisters would arrive later. As Sinead and I threw on clothes and practically ran all the way to the hospital they started making plans. The sisters had been taking such good care of us since they arrived. They cleaned, did our laundry, cooked, brought us meals and kept Sinead company, talking her out and allowing her to enjoy Toronto for the first time since she arrived. 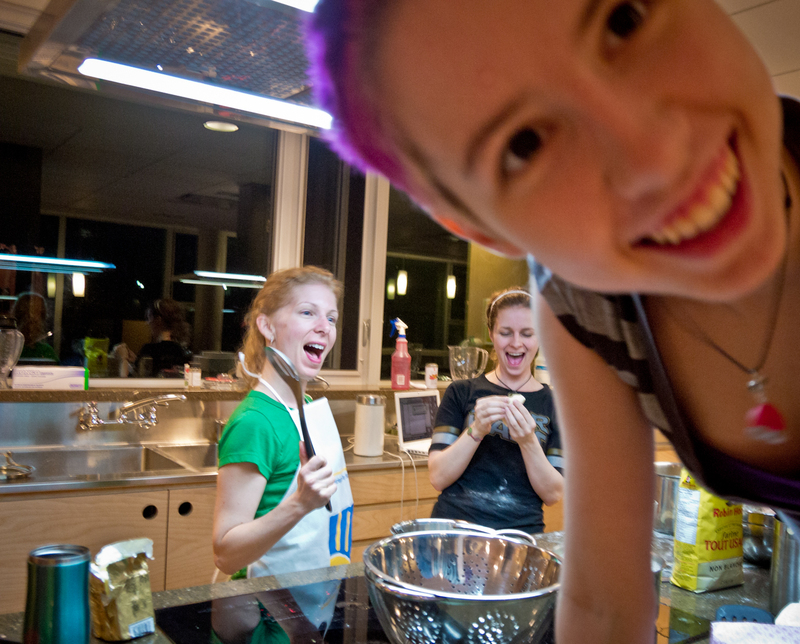 When I returned to the House on Saturday night, just before midnight, they were cooking with Sinead. They loved that big community kitchen at Ronald McDonald House and this was the perfect time to use it, when it was empty. They filled our freezer bin with meals and gave Sinead reason to smile and be happy. Our time with them was filled with love. Sinead, Barry and I sat with Bronwyn. No one thought about eating or even getting a coffee. No one wanted to leave. This was crunch time. Anything could happen. We waited. We waited and watched. As the hours ticked away we watched Bronwyn’s monitor. I had noticed before how the lines on Bronwyn’s monitor were not like the other children’s monitors. The other children’s lines had sharp peaks and valleys marking heart rate, blood pressure, breaths and oxygen intake. Bronwyn’s lines more resembled gentle hills. As the hours wore on those hills became shallower until at about 1pm I turned to Barry and whispered, “If they don’t come and get her soon it will be too late.” There was a lot of equipment and people that had to be prepared before surgery. Finally, 2pm, they came! I quickly texted a sister, “We’re coming out!” We followed the team wheeling Bronwyn into surgery. The path would take us right past the ICU waiting room. As we quickly walked along Alexandra, Erinn and Tina [my close friend from Thunder Bay who has been living in Toronto for more than 20 years now] cheered and encouraged Bronwyn on. We went through a set of doors and stopped. One of the doctors told us we could go no further. I was time to say good-bye. I kissed Bronwyn and said, “I’m so proud of you. You have accomplished so much. You can do this.” Barry gave her a kiss and she was gone out of sight. 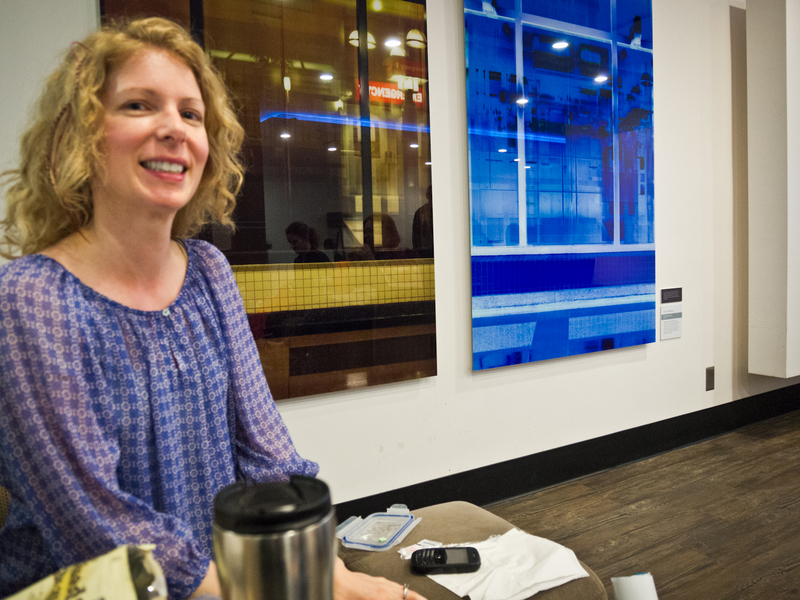 As several teams got to business on Bronwyn we joined our team of support in the waiting room. 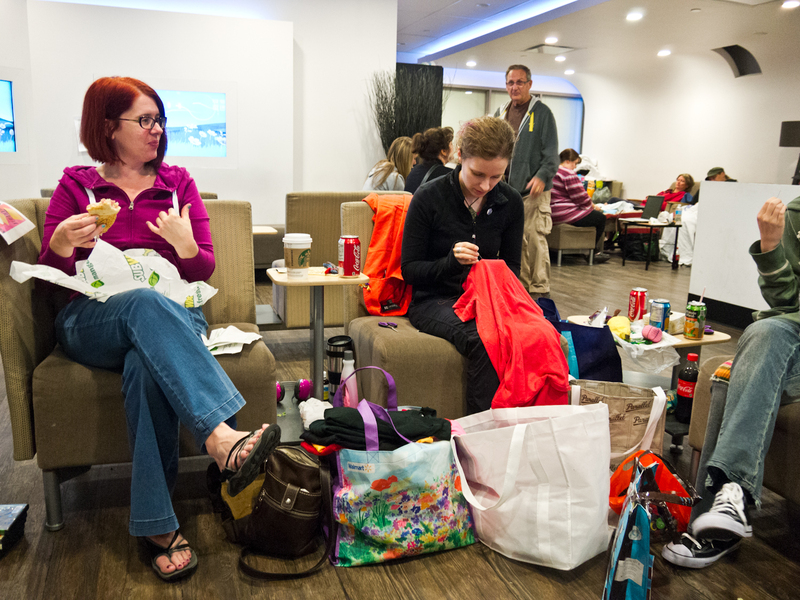 There were drinks, snacks, coffee, lunches and happy company. This was just what we needed. None of us had had a crumb to eat or a drop to drink since the night before. With no reason to leave the area we settled in. Tina: Devoted friend. Alexandra: Creative genius. We literally camped out. I don’t know of any pictures of me in the waiting room. It is a tricky beginning. I didn’t get every far that first day. During the next four hours we were updated by the anesthesiologist twice [who specialized in heart deficiencies], the VAD/transplant doctor and nurse and finally the surgeon. Everything went great! The VAD was in and working like a charm. There was concern that Bronwyn’s right heart would also need a VAD, in which case Bronwyn would not have been able to leave the hospital and an RVAD only lasts a few months at the most. As it turned out the LVAD compensated enough for the right heart to work just enough to do the job of getting oxygen to the blood. We were now faced with a long, hard recovery. Bronwyn was so ill before surgery. Four months of in-hospital treatment, followed by weeks of sickness added up to a lot of time bedridden and a body sapped of health. On July 6th she took her first steps. Her strength slowly returned as she pressed on. Physiotherapy became the most important tool towards discharge. She also had to learn how to drink again. After weeks of dehydration keeping enough fluid down for the smooth operation of the VAD became an issue. Every day she strived to drink more. She wasn’t always successful but gradually the milligrams increased until she was drinking more than a liter a day. Sitting up for the first time after surgery. The black pack beside her is the VAD controller and battery pack. 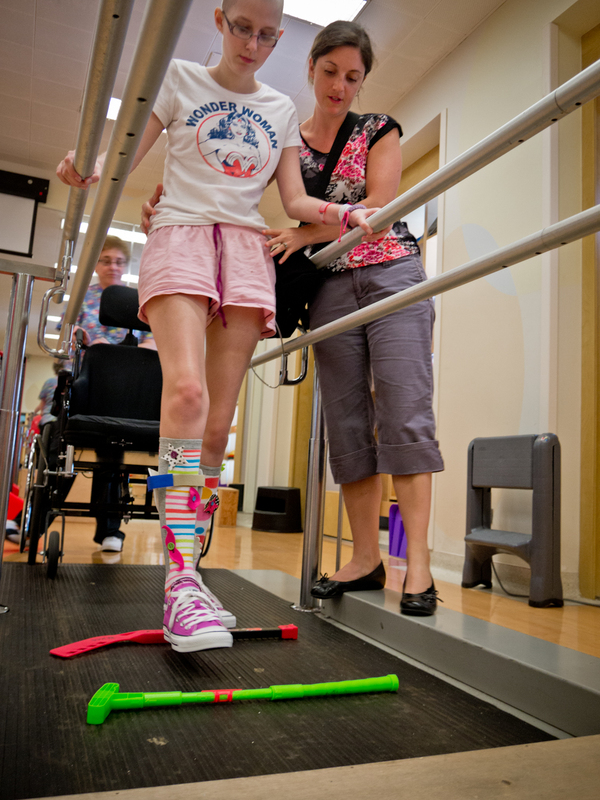 On August 9th Bronwyn became the first child to be discharged from Sick Kids with a VAD. At first it was a lot like playing hospital in our room at RMH. Every night she pushed an NG tube down her throat which was then hooked up to a pump for overnight feeds. These feeds made up for the extra fluid and nutrition she needed. A nurse would come every day to flush her central line and change the dressing and observe me change the dressing on her driveline sight. The equipment and medical supplies required cluttered up our room. As I learned how to do the flushing the nurse visits became twice a week. Within a month Bronwyn was through with the overnight feeds and was drinking Ensure three times a day instead along with meals. 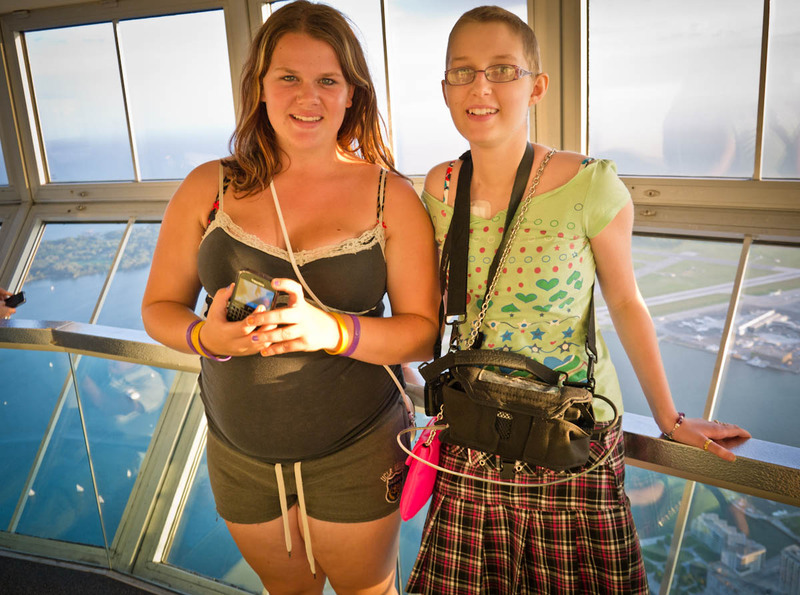 Bronwyn at the CN Tower on August 22nd with her friend, Neena, from Thunder Bay. By November she was done all of that, eating full meals and drinking two and a half liters of clear fluid a day. Her central line had been removed. We had been moved into an apartment at the House. For the first time in ten months Bronwyn had a room with a door….and so did Barry and I. It was wonderful. It was the closest to normal we had had in months. We had our own kitchen; no more cooking downstairs. I noticed Bronwyn’s health and food intake improve immediately. Reluctantly she started classes in RMH’s private school. Not only had she missed a lot of school but the chemo and trauma had done a number on her knowledge base. She had forgotten the simplest things like how to tell time and count money. It was scary. By the end of the first day she felt a lot better about it. Even though the kids were younger than her she enjoyed the social interaction and learning. The teachers were great. They understood her condition and helped her recover a lot of information. November 28th, RMH School field trip to the Ontario Science Center. While Bronwyn was in class I started my research into childhood cancer and what was being done about it. It turns out not much. I could only handle small amounts of information at a time at the beginning. It was hurtful to discover that so little has been done to find better treatments that didn’t cause so much harm to a child. Bronwyn drew the short straw on a rare side effect but most children who survive suffer some form of chronic condition from cancer treatment and only a few forms of childhood cancer have decent survival rates [60% and more]. Most have dismal rates of less than 50% to even 0%. Many of these rates haven’t changed in decades. Compare that to many adult cancers. New treatments and drugs are being developed all the time. Childhood cancer research is like the poor country cousin that must depend on hand-me-downs from the research of other cancers to have any chance at success at all. Thus my drive to do something…..anything. The childhood cancer awareness movement has to start somewhere. 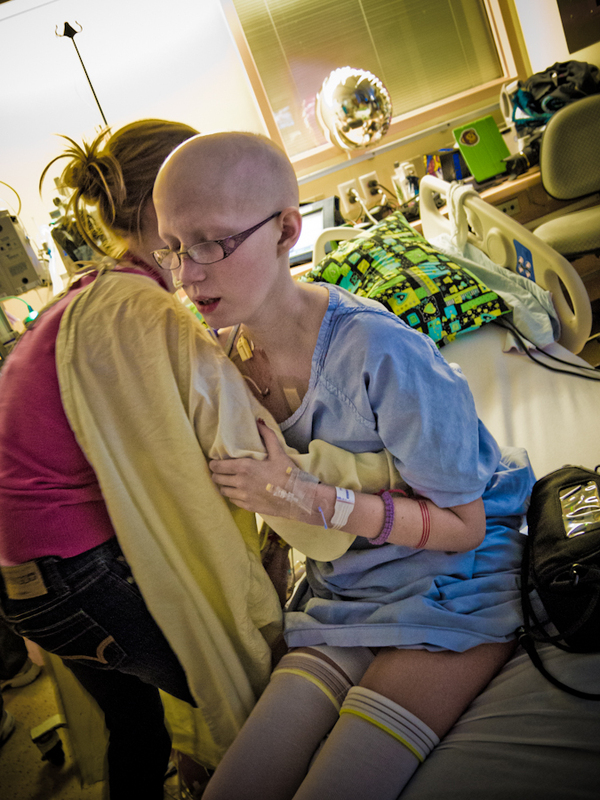 It barely existed at all when Bronwyn was diagnosed. We had never heard of it. Never knew that gold was the colour for it or that September was the month for it. We all know what pink is for and that October is breast cancer awareness month and treatments and survival rates have improved dramatically. Clearly the formula for more money for research leading to better treatments is awareness. But what can one person do? What can I do? 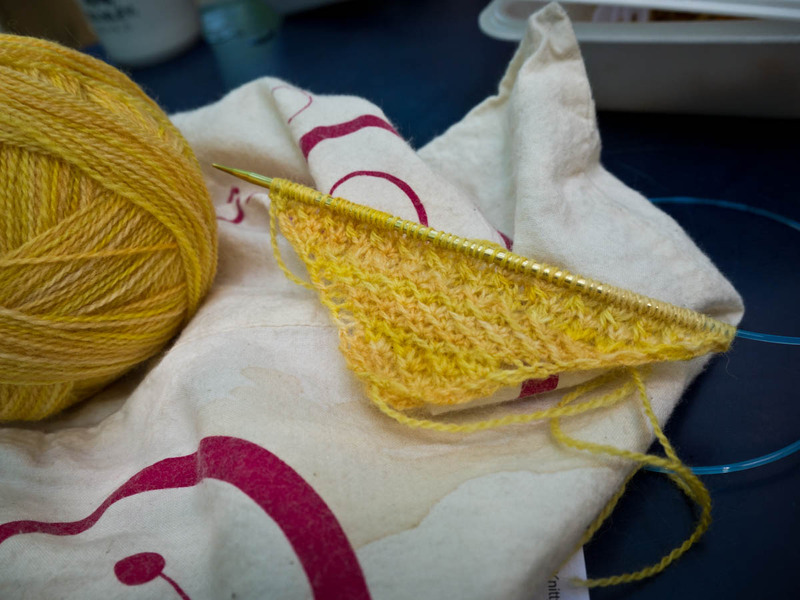 Asking this question is what has led to the development of the Knitting for Gold project. It’s what I can do. I find myself starting this project in the midst of a new flurry of activity on childhood cancer awareness like never before. Social media is driving the education and action on this critical issue. Organizations like The Truth 356, People Against Childhood Cancer, The Gold Ribbon Campaign, A Day of Yellow and Gold, Huffington Post writer, Jonathan Agin and many, many others are helping to raise the banner for our children. In this blog I will chronicle my journey with this project as well as more stories about Bronwyn’s journey and the need for childhood cancer awareness. …….and there will be knitting! I finished the Happy VAD Day shawl and other projects since the surgery that saved Bronwyn’s life but those will be stories for another day. I will end the chapters on Bronwyn’s story with this epilogue: Bronwyn and her family have relocated to a two bedroom apartment within walking distance of Sick Kids hospital as she waits to be added to the heart transplant list on January 15th, 2014 and then a heart. 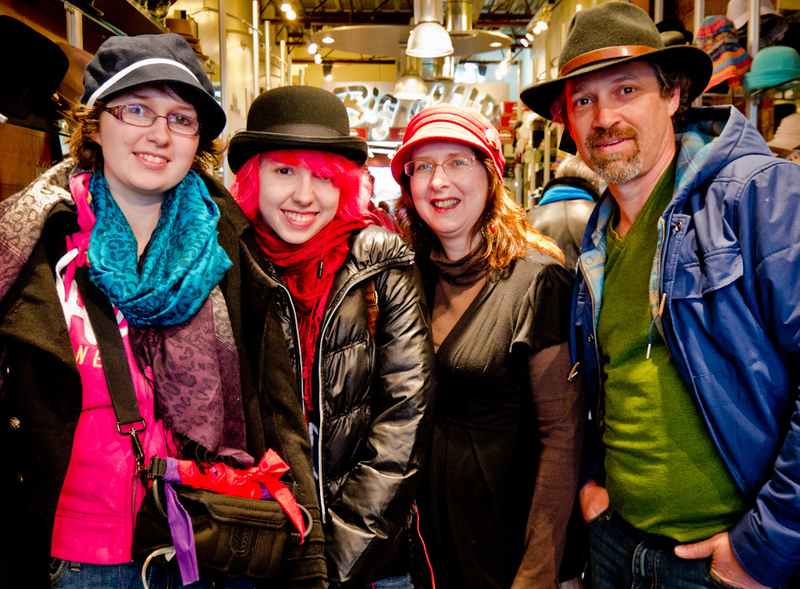 Sinead graduated from high school with honours and is taking a gap year with her family before diving into university. Barry continues to work in Oakville. 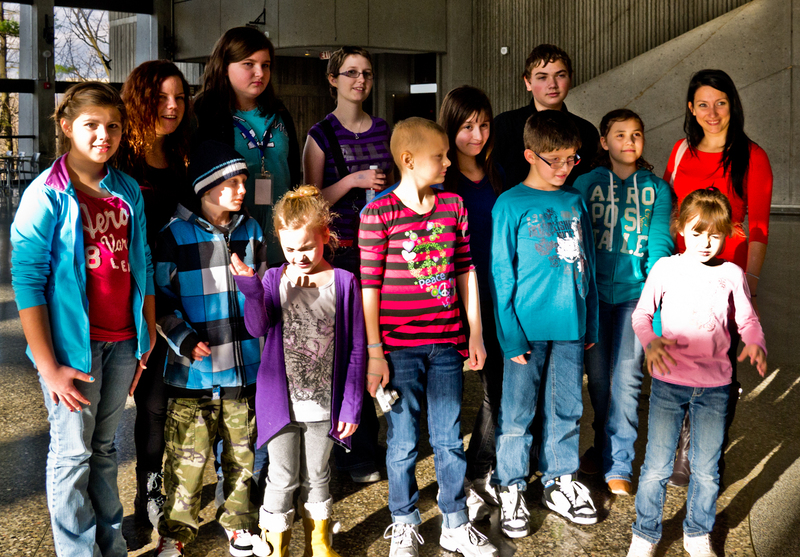 They all dream of the day they will return Thunder Bay and do their best to create a new life, post childhood cancer. This entry was posted in story and tagged AML, cancer, cardiomyopathy, chemo, childhood cancer, heart failure, hospital, knitting, pediatric cancer, Sick Kids, VAD by GoldenCancerMom. Bookmark the permalink.